What is the Dragon Medical Mobile Recorder App? 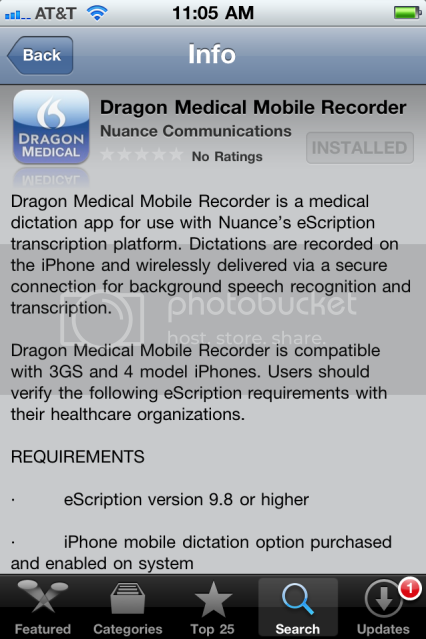 The Dragon Medical Mobile Recorder App is a medical dictation application for use with Nuance’s eScription transcription platform. Dictations are recorded on the iPhone and wirelessly delivered via a secure connection for background speech recognition and transcription. Dragon Medical Mobile Recorder is compatible with 3GS & 4 model iPhones. Verification Source: Apple App Store. What is the default location for the user profile in Dragon Naturally Speaking v 11.5? What is a user profile within the Olympus DSS Player Pro R5 software? What is the Olympus Transcription Module? What is the warranty on the Philips SpeechMike Premium? What is the Dragon Medical Mobile Search App? 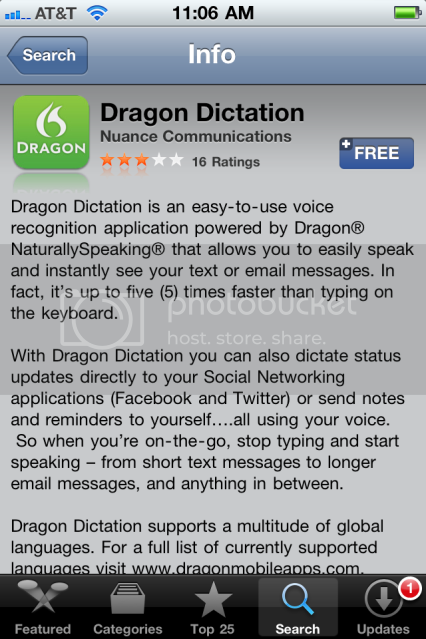 What is the Dragon Dictation App? The Dragon Dictation App is an easy-to-use voice recognition application powered by Dragon NaturallySpeaking that allows you to easily speak & instantly see your text or email messages. In fact, it’s up to five (5) times faster than typing on the keyboard.